Follow Sho and her son Luther as they spin the spinner and go on creative adventures! Will it be Explore-Time, Create-Time, Game-Time or Move-Time!? 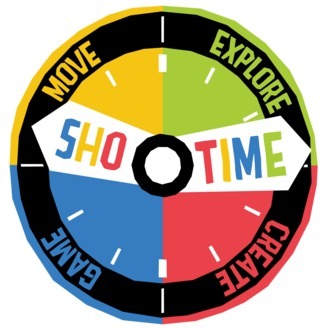 Enjoy the journey Sho-Time takes you on and try out new activities! 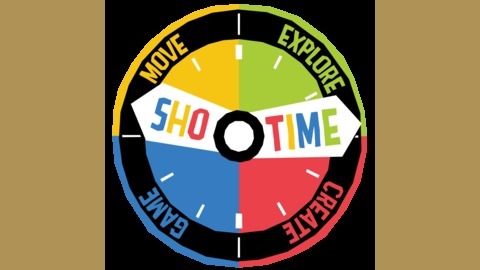 Sho-Time is a kids TV show presented and created by Shona Freeman, where children learn through games, moving, creating and exploring. Where will the spinner take us?! *BLACKBERRY SMOOTHIE RECIPE* Blend together 200g of washed blackberries, 3 dessert spoons of vanilla yoghurt, 3 dessert spoons of vanilla ice-cream, 1 tablespoon of honey and 100ml of milk.